​Welcome to The Actor's Cafe. We provide expert acting tuition and career advice to all. Our tutors are experienced teachers who are also industry professionals. We pride ourselves on giving our students a supportive, encouraging and professional rehearsal space in which to explore, create and learn a multitude of acting techniques for stage and screen. We would like to warmly welcome you to The Actor's Cafe by offering you a completely free taster session. Apply now by clicking the Free Introductory Class button Above! ​"Having visited the Actor's Cafe on three separate occasions now, I can really see the great work it produces. The tutors nuture talent in actors of all ages and experience and encourage them to develop their craft and build confidence. The sessions are approached with a view to preparing the actors for every aspect of the profession in a safe and supportive environment. I look forward to another visit soon!" "I can't tell you how much I enjoyed the session - so much so, that the sheer number of things I wanted to discuss with you couldn't all be included in just one email! A massive 'hats off' to you and your team - and thank you. I am blown away with your teaching and your approach and just your generosity of spirit. I loved it." "Thanks for having us at The Actors Cafe and for creating such a relaxed, positive and supportive environment in which we could all work together. The students were a pleasure to work with, focussed, interested in their craft and bold in their acting choices. It was great to see their interpretations come to life on camera and we were impressed by their ability to take notes quickly and be truly present in the scene. A great session." Actor's Cafe student Barney Jones joined The Actors cafe for the summer term of 2018 with no acting experience. While taking on his second term, he landed his first professional paid role in a feature film. After the audition for the film, Barney wrote "John, I'm so proud of myself right now, this audition was so formal, sign in and sign out sheets, seven people watching, everyone in the waiting room could hear your audition, I was so nervous. I sat down, shut my eyes and pretended I was in your class and gave my best performance to date. I can't tell you how much of what you say resonates with me. You continuously challenge me to try things differently even when I think I've done well, you always give me something more to think about, i owe a lot to you." JOHN GOULD'S COLLABORATION WITH JAY SHETTY, ANAHITA HUGHES, AND FILMWORK STUDIOS "BEFORE YOU TAKE SOMEONE FOR GRANTED" REACHES 145 MILLION FACEBOOK VIEWS. Great to be a part of this production with Jay Shetty. I'm thrilled that it's reached so many views and the feedback has been fantastic. It's a good feeling to hear that people are inspired by it's message. It feels very positive and fulfilling to be part of a project that supports an ethos that I care about. The Actor's Cafe recently took part in BBC 3 Radio's Post Code Quiz with host Tim Wheeler. Tim contacted The Actor's Cafe asking if we'd like to take part in the quiz, which we thought would be great fun and so gave an imminent yes to. It was a enjoyable experience and a great opportunity to share the mood of The Actor's Cafe to further counties on BBC3 Radio, Tim's co-host Nana Akua even mentioned that she might pop down to one of the Free Workshops herself! We'd love to see you along Nana!" Thank you for having us on the show. Annie Williams joined The Actor's Cafe with the Hornchurch branch in Essex at the beginning of this term. Annie has featured in Independent films and various TV programs. Her son Tommy Ray is also a student on the course and is currently auditioning for drama schools. Annie has not only climbed the acting ladder to gain herself credits for Spotlight Casting, but has also helped her son to land parts for stage and various acting projects before he had even reached the age to audition for drama schools. We're very pleased that Annie is a part of the sessions at The Actor's Cafe, and it's well worth asking her a thing or two about the industry if ever you meet her on the course. Watch out for Annie Williams, there's more of her to come! Annie is the lady raising her glass at the end of the ad! 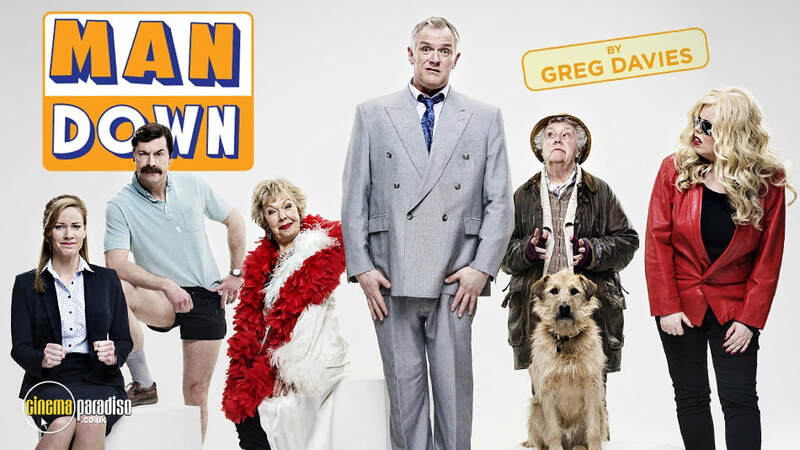 "I was very chuffed to be cast in Man Down, after a role in BBC 3's Witless, it was nice to get a role for Channel 4." Louise is a guest speaker at The Actor's Cafe and she's a former Actor's Cafe Student. Since she started at the Actor's Cafe she joined John Doe management and her roles for TV and Commercials have since increased. We're very proud to have her as a speaker at The Actor's Cafe, and we're pleased that she is around to impart her experience and knowledge to students on the course. Well done Louise! Once again, Anahita Hughes and Johnny Gould collaborate on another successful viral video with Jay Shetty, reaching 50 million Facebook views. "We're delighted to be a part of the project, we didn't expect this many views. Jay Shetty is incredibly professional and great fun to work with, we're looking forward to more videos with Jay." Actor's Cafe Tutor Johnny Gould has accepted an international tour to Cyprus, Greece to perform for the European Capital of Culture Festival in July. "The tour landed straight after the summer term at the actor's cafe and I'll be back in time before the next term in September," Johnny said. "I've worked with the director of the show before and it was nice to be considered again." The director of the show George Rosdothenous has directed 5 international shows and currently tutors theatre performance at the university of Leeds centre for performing arts. 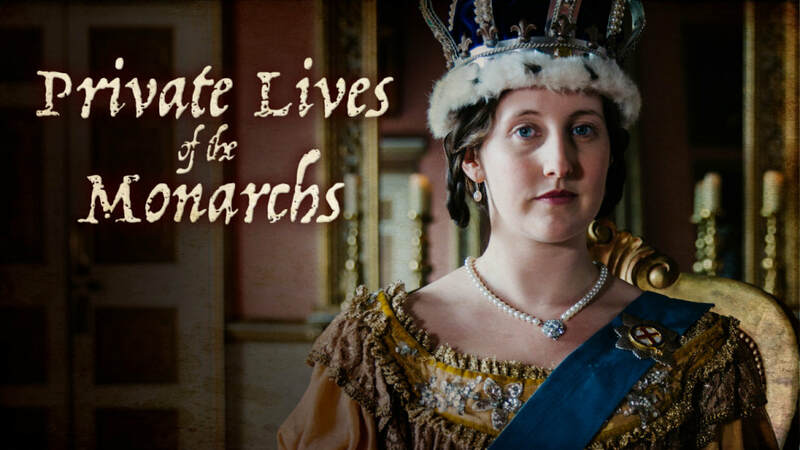 Actor's Cafe Student Lela Jas has recently been cast in an episode for UKTV's new documentary drama series, The Private Lives of The Monarchs. Lela told The Actor's Cafe - "I just wanted to take the opportunity to thank you for the last 9 weeks. You've opened my eyes to lots of new approaches to creating truth in what we do." It's been a pleasure to work with Lela at The Actor's Cafe and we're very pleased that another one of our acting students is getting work in the industry. The Actor's Cafe Assistant, Student and Actress Anahita Hughes and myself recently collaborated with internet sensation Jay Shetty of Huffington Post Live with Before You Break Up Watch This, which reached 40 million Facebook views in the first few weeks of it's launch. Ana and I were thrilled to be a part of the project and we look forward to further collaborations with Jay. Showreels are almost essential to your CV and work as an actor and after visiting The Actor's Cafe this term, the impressive Moonbase media showreel company are offering all our students a 10% discount offer on their showreels. The company offer high quality, TV style produced showreels at a fantastic rate. Please see www.moonbase.media for more info and please quote CAFE1 if you are a student on the course and are interested in a showreel of your own. Actor's Cafe student Louise Green has been with the Actor's Cafe for three terms now and has "enjoyed every minute." It's been a pleasure for us at the Actor's Cafe to have Louise on board and since being with the school she's landed roles in multiple commercials. Louise's latest role is a TV role for BBC's Comedy Witless playing the role of a helpline assistant. You can see Louise's appearance on catch up. Simon Furness, a student of one of Sanford Meisner's class members leads an incredible class at The Actor's Cafe. "Acting is truth under given imaginary circumstances. It's not acting, it's doing. We make it complicated as actors, it's simple. Listen. Repeat. Listen. Repeat," says Simon, with enthusiasm and a voice of experience. "Now i want you to count every single floor board in the room." (The students count) "Okay who actually counted each floor board? Who approximated? Acting is doing, not approximating." The class sat fascinated in Simon's knowledge. We look forward to extracting more from this acting wizard again soon. Director Paul Giddings and Luke Jenkins of Moonbase media will be making an appearance on the course this term, Paul Giddings has been a director and a producer for 15 years, working for major broadcasters including the BBC, ITV, Sky and Channel 4. 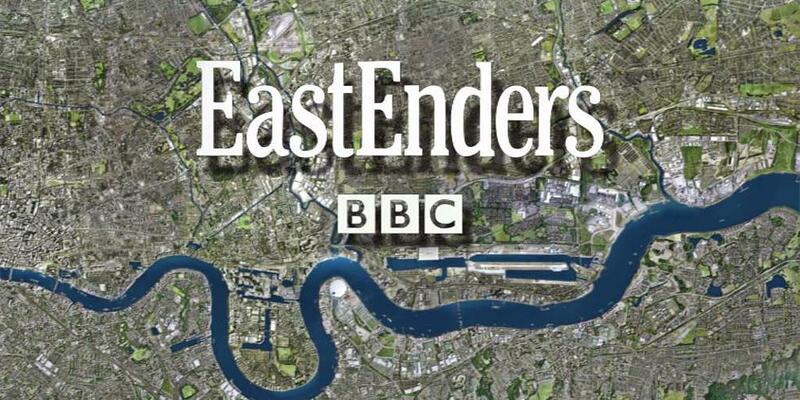 Their credits include Eastenders Live, Doctor Who Confidential, The X Factor and Family Guy: The Story So Far. "I just wanted to acknowledge you for being such a great teacher. You really helped me to see how positive the whole experience of acting can be. You're such a great teacher." Becca, who helped cast for Absolutely Fabulous, as well as commercials and other projects visited The Actor's Cafe with an expectation of being a part of the course as a student. She attended the free workshops wanting to get a feel for what it's like to be an actress and be on the other side of the camera. The Actor's Cafe invited Becca to direct a class as a casting director, to which The Actor's Cafe students benefitted from her expertise and were given an opportunity to cast for one of her commercial projects. Actor's Cafe Student Anahita Hughes is selected for a short film festival entry project working with director Phil Blake. Phil has worked with actress Alison Steadman, had his short film The Gap shown at the Odeon Leicester Square and has worked on a film starring Kevin Costner. Anahita was delighted with the opportunity to work with Phil through The Actor's Cafe.